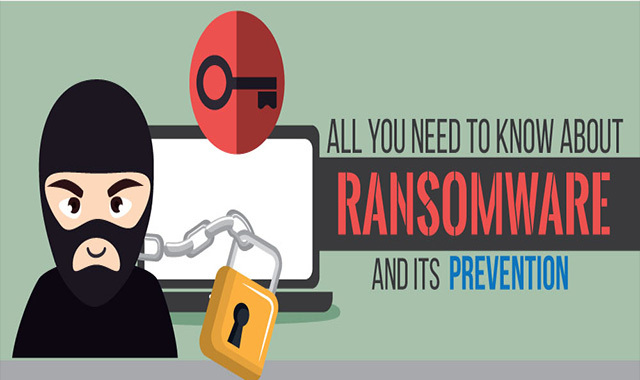 All You Need to Know About Ransomware and its Prevention #infographic ~ Visualistan '+g+"
The world is going through the probable danger of ransomware hitting all parts of the globe and that has put all the online security professionals on their toes to find out new ways to protect data from this malicious hacking attempt. Ransomware is the new kind of hacking that took place for the first time in 1989. It a form of programming code that embeds itself in your system, or email or in your mobile phones restricting or completely halting your access to the system. In return, a ransom amount is demanded to let your system go.